I am writing this letter to express my sincere thanks to you and the sponsors for funding the LifeNets Scholarship here in the Philippines. 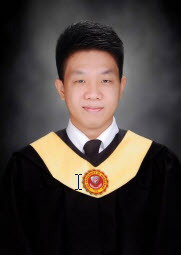 I studied and finished Bachelor of Science in Business Administration major in Financial Management at The University of Mindanao last April 26, 2016. I assure you that this degree I am holding will be useful in my future career. Thank you for your generosity, which has allowed me to finished my 4 year course and you didn’t fail of supporting my financial needs. I look forward to my future career and I will not forget you and all the sponsors supported me. I thank God once again for your generous support in this endeavor. I hope and pray that one day I could have a chance to help others, as you helped me.